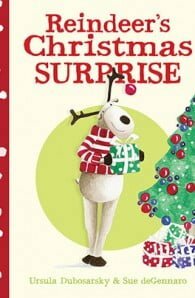 This distinctly Australian Christmas story about the joy of giving and the importance of family was created by the highly acclaimed picture book team of Ursula Dubosarsky and Sue deGennaro. 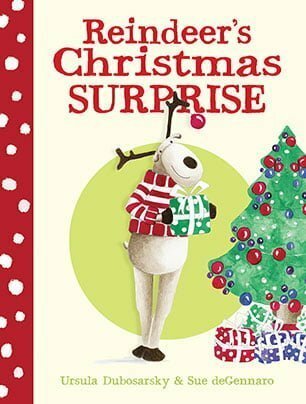 It’s Christmas time in Australia, and Reindeer has great fun giving presents to his friends — Cat, Dog and Guinea Pig. But even when it’s warm and sunny outside, it’s hard to be far from home and family on Christmas Eve. Luckily, Christmas is a time for exciting surprises, and this year Reindeer might just get one of his very own . . .
Ursula Dubosarsky is widely regarded as one of the most talented and original writers in Australia today. She is the author of over 40 books for children and young adults, which have won a number of national prizes, including the NSW, Victorian, South Australian and Queensland Premier's Literary Awards. Alongside her fiction for older children, Ursula has a wonderful talent for picture books such as the highly popular The Terrible Plop and Too Many Elephants in This House, which have both been adapted as successful stage productions. She has also written the non-fiction Word Spy books about the English language, both of which also won major national awards. Ursula has a PhD in English literature from Macquarie University and lives in Sydney with her family.